This innovative “Soil to Shelf” investment model is the reason why FamilyFarmed will present S2G Ventures with its 2017 Good Food Business of the Year Award on Thursday, at its annual Good Food Financing & Innovation Conference at Chicago’s UIC Forum. S2G is headed by three managing directors: co-founder Victor E. Friedberg, a longtime social entrepreneur who will accept the Business of the Year Award; Chuck Templeton, a “serial entrepreneur” who founded Open Table (which revolutionized restaurant reservations), was chairman of GrubHub (which disrupted the restaurant home delivery concept), and co-founded Impact Engine (an early leader in investing in education and health care impact companies); and Sanjeev Krishnan, who has more than 15 years of experience in venture and private equity investments with a focus on food and agriculture. The company publicly debuted at the NY Times Food for Tomorrow Conference. Since then, S2G has made about two dozen investments in companies that are helping to create a better food system through healthier food products, restaurants with farm to table concepts, and more sustainable farming practices. But if they had stopped with just their first big investment — in a company called Beyond Meat — they would be well-remembered for delivering on the promise of a plant-based burger that cooks and tastes like a beef burger. “What they are trying to do is do everything that the cow does, without the cow,” Templeton said. The key ingredients in the Beyond Burger are pea protein isolate and beet juice extract (the latter provides the red burger-like color and even may “bleed” a little). 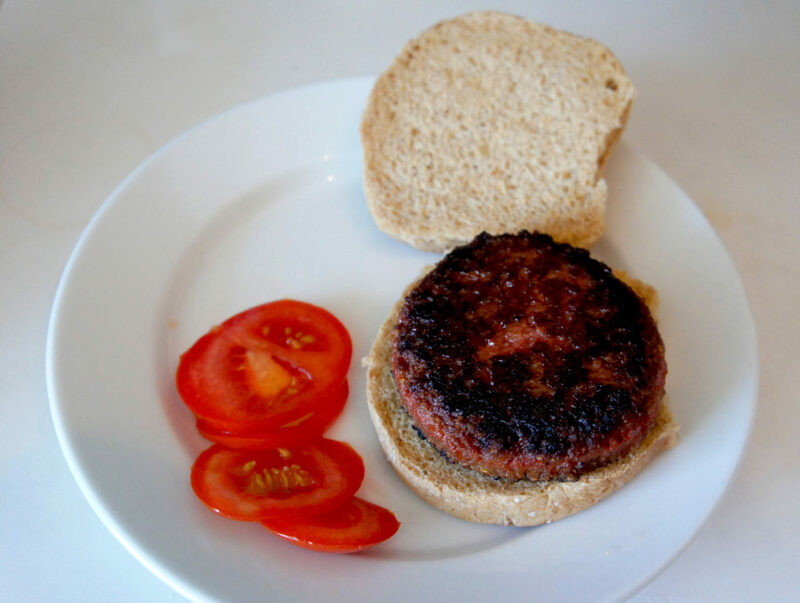 Having tested the product at home, Good Food on Every Table can testify that it cooks up with a properly charred exterior while maintaining the mouthfeel of a medium-rare hamburger. 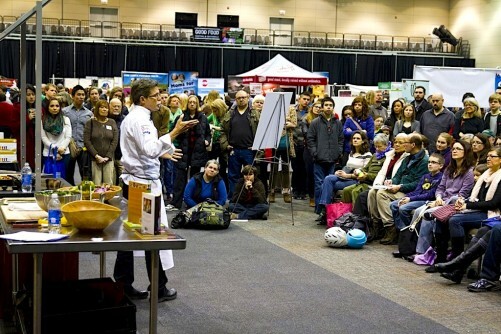 Initially test-marketed in a single Whole Foods store in Boulder, Colorado, the product is now gaining national distribution and positive feedback from people who are seeking more plant-based alternatives in their diets, because they view these products as healthier, worry about the environmental impact of livestock production, or have a primary focus on the humane treatment of animals. Friedberg, along with his participation in the Business of the Year Award ceremony, will be on a panel titled “Big Food’s Embrace of Good Food” Thursday at the Good Food Financing & Innovation Conference. 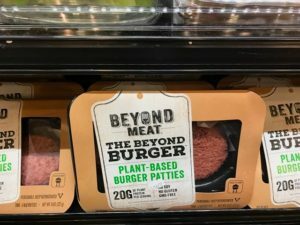 One issue that undoubtedly will be discussed is the 5 percent ownership stake in Beyond Meat that was purchased last fall by Tyson New Ventures, a food innovation investment group affiliated with conventional food giant Tyson Foods. Many people involved in the Good Food movement have qualms about Big Food companies absorbing upstart companies that feature healthy and sustainably produced items, fearing that those products will be co-opted, “dumbed down” or just used as window dressing by food corporations. But Friedberg believes that Good Food — a fast-growing but still relatively small niche in the overall food system — ultimately needs the resources and marketing experience of bigger food companies to enable it to become the change that its advocates want it to be. The following are excerpts from interviews with Friedberg and Templeton about S2G’s principles and some of the other impactful companies in which they have invested. 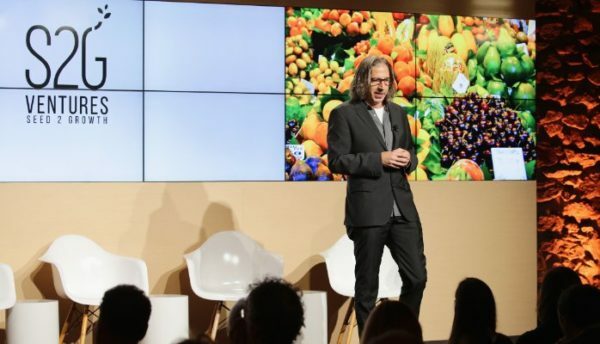 Friedberg: S2G’s mission is to invest in transformative and innovative food and beverage and agriculture companies that can better align the food system to be more healthy, sustainable, affordable and safe. We believe in that mission because we believe that is where the consumer is now and certainly where the consumer is going. So we think it’s both good for human health, the health of the planet, sustainability, but it’s also a strong mission economically, because that’s where we think the big growth is in food and agriculture going forward. Templeton: There’s so much societal good that can happen through better food production, everything from reduction of medical costs, increase of standard of living, climate adaption and mitigation, food access… And two, this has been an extremely underinvested space from a risk capital perspective. That should mean that there are good opportunities to get good value. 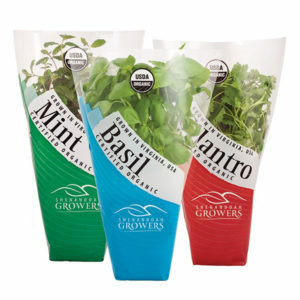 Shenandoah Growers, based in Harrisonburg, Virginia, has innovated a “hub-and-spoke” production system for herbs and greens — starting them in a central greenhouse operation and then shipping them to satellite facilities in other markets for finishing. This enables the company to harvest and ship their products as local. Templeton: Between harvest and purchase, you shorten that cycle too. When they’re harvested, they decrease their nutritional content. If your harvest them close to the source of purchase, then you get a fresher product too… They’ve done a fantastic job of any of the extra nutrients that come off, that don’t get absorbed by the plant, they’ve done a very good job of being able to capture those and bring them back into a circular system, so they dramatically reduce the amount of inputs. Friedberg: Shenandoah had a decade-plus history of being a great regional herb brand basically created the most impressive closed-loop greenhouse growing facility that we had seen. It was soil-based, which we thought was important. Our view was that hydroponics, aeroponics, all of those considered urban, is too removed from nature to actually deliver on taste and nutrition. 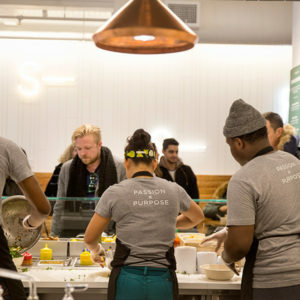 sweetgreen is a 10-year-old fast-casual restaurant group, based in Washington, D.C., that focuses on locally and sustainably produced food, with a mission of building community through food. The company recently opened its first Chicago outlet in the River North neighborhood, at State and Ontario streets. Friedberg: What Sweetgreen has done, basically you have three founders who absolutely live the brand, they are the brand… Everything that comes onto the menu or every touchpoint in the store, how they do mobile, that stems from a core belief that they have to be honest with their consumers, they have to use as much local, fresh, organic as they can muster at any one time, and bring that into a menu that’s affordable for not everybody, clearly, but for most. As soon as you make compromises, then you lose your consumer and you lose your brand. Their ability to grow and keep that brand promise is second to none, which is why they’ve become basically the poster children for fast casual. Templeton: It’s a biological fertilizer company, they’ve got five or six thousand farmers, well over a million acres, that they service. They help increase the profitability of farmers, they help increase the organic matter content of soil, they reduce the amount of fertilizer runoff that end up in waterways. They have both a services and a product model that, to me, is where farmland needs to go. Friedberg: It was valid for conventional farmers who weren’t selling at a premium, but who were basically looking at their [profit and loss statements] and saying, “Our input costs are going up, our soil health is going down, and we’re being squeezed on price, so how does this work?” So Midwest BioAg is a solution for conventional growers to change their approach in terms of inputs, be smarter about soil. You’re not necessarily going to work harder. You just have to think more. In a similar vein, Terramera, based in Vancouver, British Columbia, produces plant-based pest control products that control harmful insects without damaging helpful insects, reducing or eliminating the need for chemical pesticides. Templeton: It’s not going to go after every bug, because there’s a lot of beneficials like bees. It’s helping the farmer move towards organic and a cleaner product at the same price point as a chemical solution but just as effective. The farmer can actually charge more money for a higher cleaner product, so they can actually make more money. 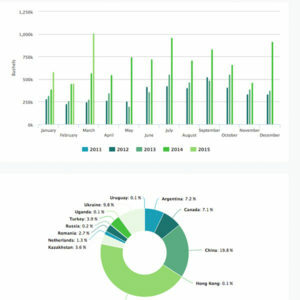 Templeton also highlighted Mercaris, a market data service and online trading platform for sustainably produced crops that is based in the Washington, D.C. suburb of Silver Spring, Maryland. It’s a huge space and a lot of different things they can do, like organic milk and grass-fed and all these different sub-markets that don’t have a free market right now. There’s a really interesting opportunity there. 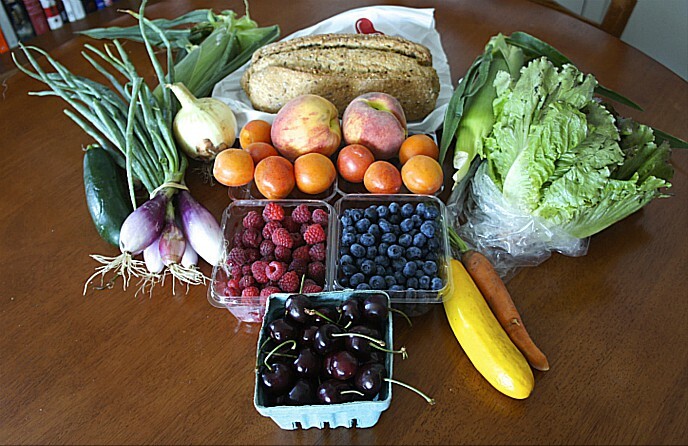 Five percent of our consumption right now in the U.S. is organic, and only 1 percent of our cropland is organic. You have this inefficient market, so this company can help farmers transition faster because they can see forward pricing and that kind of stuff. This entry was posted in Awards, Biodiversity, Farm businesses, Financing, Food Entrepreneurs, Good Food and economic development, Good Food business development, Good Food Festivals, Good Food Success Stories, Indoor growing, Organic farming, Pesticides and herbicides, Sustainable food business investment and tagged Beyond Meat, Big Food and Good Food, Biological fertilizers, Chuck Templeton, FamilyFarmed, Good Food Business Investment, Good Food Financing &Innovation Conference, Good Food venture capital, GrubHub, Impact Engine, indoor food production, Midwestern BioAg, non-chemical pesticides, Open Table, plant-based burgers, S2G, Sanjeev Krishnan, Seed 2 Growth Ventures, Shenandoah Growers, Soil health, Sweetgreen, Terramera, Tyson Foods, Tyson New Ventures, Victor E. Friedberg. Bookmark the permalink.